A walk-in tub is a fairly new invention, but it is one worth the investment if you value the comfort and safety of every household member. This type is easily one of the best bathtubs as it minimizes the risk of injury. Thanks to the additional material precautions, it gives the elderly and the handicapped more independence when it comes to bathing. Additional features, such as massage options, make the bathing experience more fun and luxurious for the able-bodied as well! After all, who doesn’t deserve some relaxation after an exhausting day? It would be a great addition to any bathroom, but it can, understandably, be an overwhelming thing to shop for. 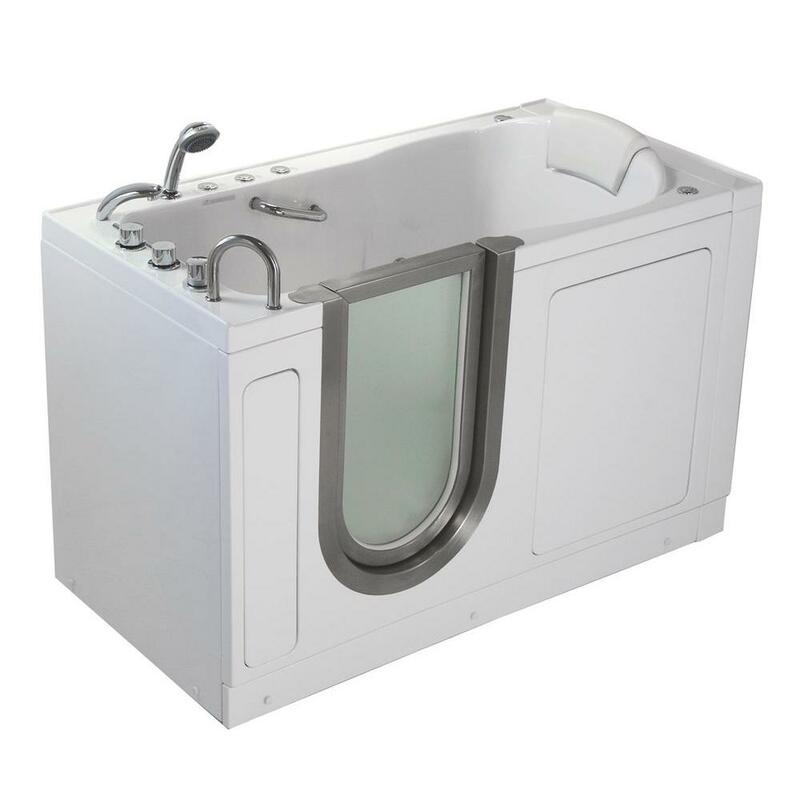 Well, look no further because Ella Walk-In Tubs integrate style and comfort with a variety of therapeutic features to ensure you get the treatment you deserve. Within the brand, there are many excellent products to choose from, but this guide narrows it down to guarantee you find the best walk-in tub the brand has to offer. The original of the brand’s design, it remains a perfectly capable piece to soothe all your bathing woes. 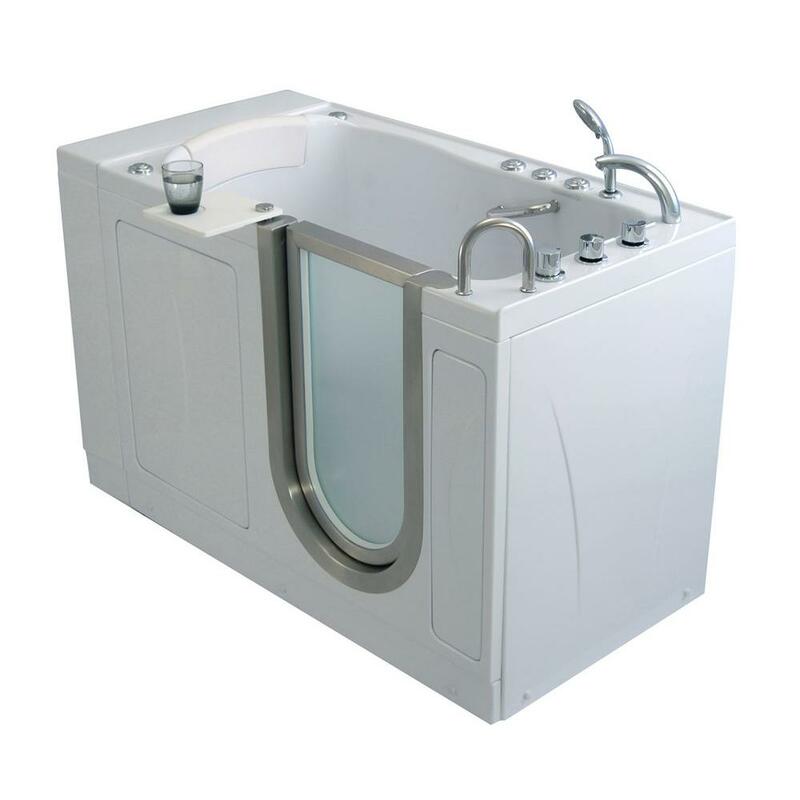 The product ensures a safe bathing experience by providing features that will make accessibility and convenience issues non-existent. The product satisfied the customers, claiming that it met their expectations of the product. However, some complain that the water temperature tends to be either too hot or too cold for their liking, noting that it would be better if it could be manipulated. 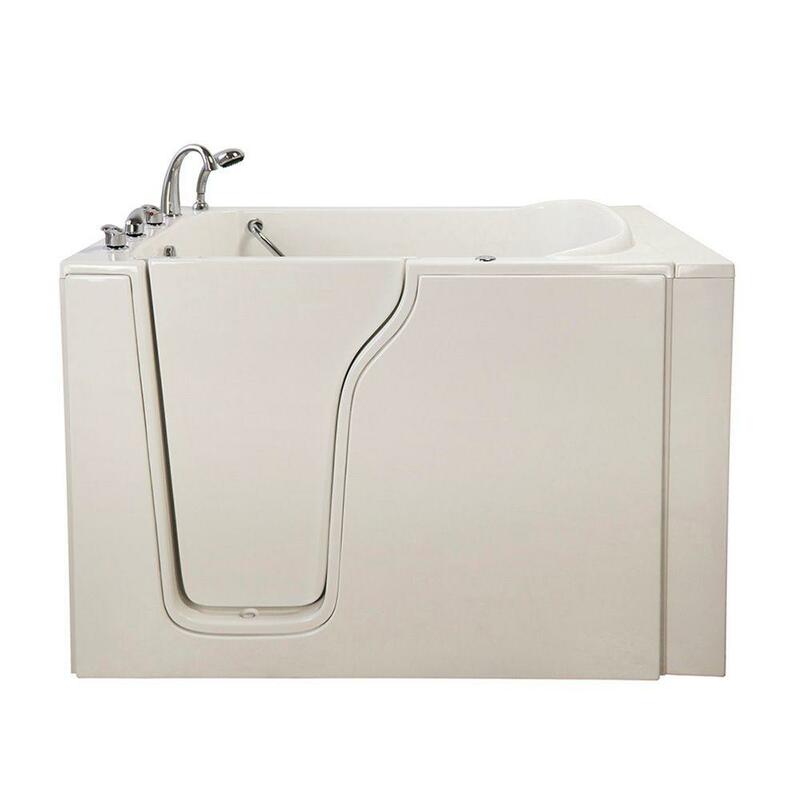 It is similar to the Ella Deluxe Dual Massage bathtub in terms of features, but there is one significant difference between them. This one is bigger in size to accommodate two seats, making it a great way to relax with a significant other. Customers who bought it agree that it is a great way for couples to spend some time together. The idea of it appeals to partners but some find it odd that the design does not take additional precautions more than the usual tub, considering that it is a tub meant to be enjoyed by two. 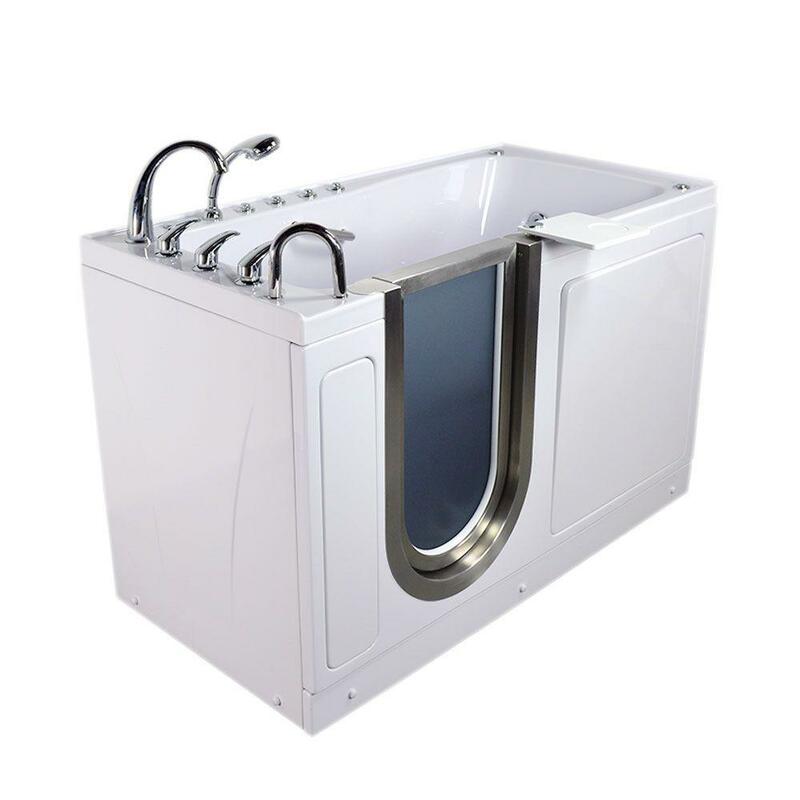 This model’s sleeker design allows you to have the same experience you can get from bigger tubs but without sacrificing any of the features that make the Royal and Elite so great! The narrower tub is highly appreciated by customers who live in smaller spaces or those who live in older houses with cramped doorways. The general reception is highly positive and many agree that its design made it possible for them to get one despite initially being hesitant due to the size. It has been noted that the warranty for parts is only 5 years, but this applies to all of the products in this review. This product gives an update to the features of the older Ella models without compromising the quality the brand is well-known for. Thus, it guarantees an even more soothing and relaxing bathing experience. Buyers generally enjoyed the product. Some claiming that the change that came with it helped ease their lives in general. The swivel tray, which was one of the additional features, received positive feedback. The efficiency of the drainage system also impressed several customers. 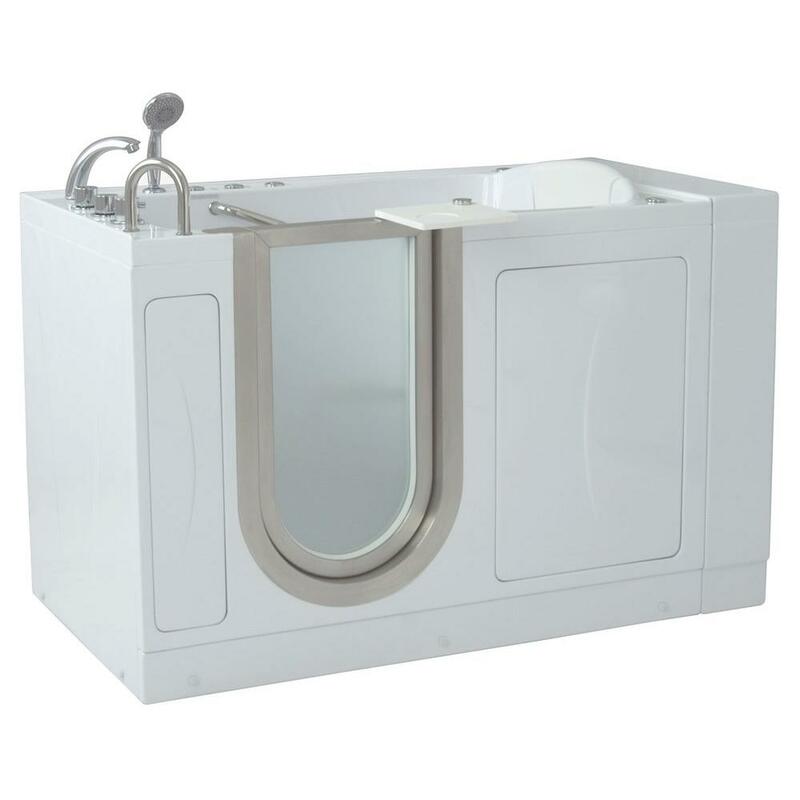 The Bariatric line has the widest tubs available in the brand’s repertoire, proving that accessibility and luxury are not mutually exclusive when it comes to relaxation. Elderly patrons of the product rated it positively. They claim that the purchase soothed their pains, such as arthritis and various body pains— thanks to its massage and therapy features. Whereas the Ella Petite is often thought to be a smaller Ella Elite, this model can be considered as its king-sized version. Sharing the same upgraded features but in a wider shell, the Ella Royal spells out luxury without having to sacrifice ease of use and comfort. This product has generated good feedback from a variety of users. It was highly appreciated by the elders and those with disabilities. They appreciated the thought and research that went into the design of the tub. 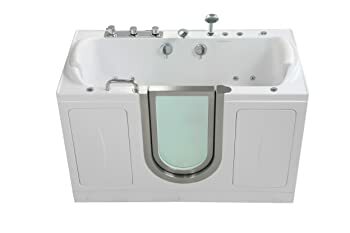 This model lives up to its name by being the ultimate massage walk-in tub. With its variety of options to choose from, it’s not an exaggeration to say that it feels just like having your own spa at home. The product did not fail to impress those who purchased it. The addition of the foot spa option without having to prepare the entire bath was also seen to be a great feature. Its ability to fill up quickly has also been regarded positively by those who bought it. However, some complain that the air massage is too strong and would have made usage better if it were possible to change its strength. Foot massage option that doesn’t require a full bath! Choosing the perfect walk-in bathtub requires a lot of research, considering how big of an investment it is. 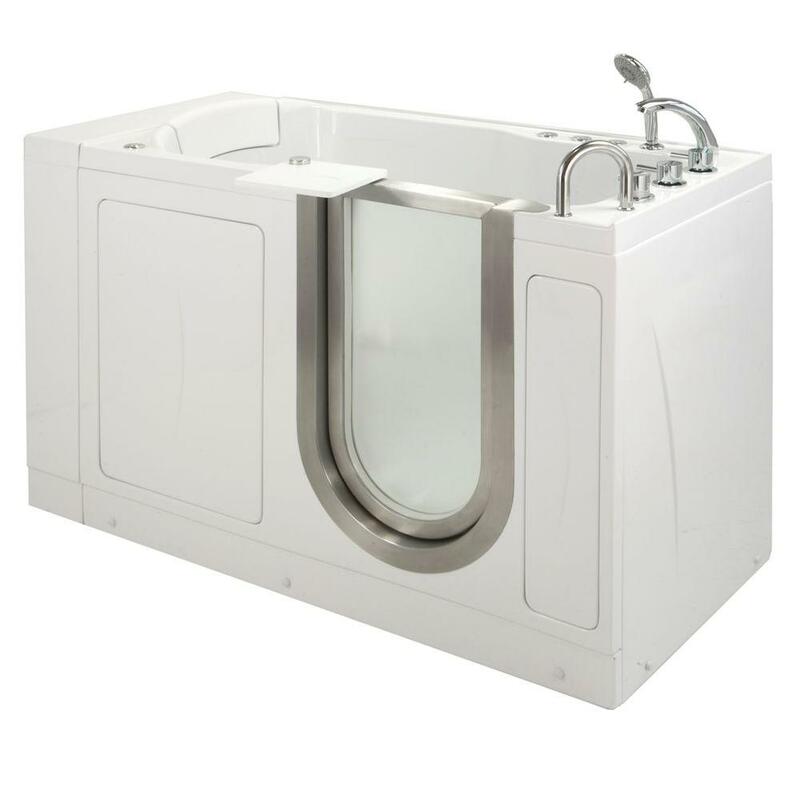 There are many factors to take into account before making the purchase, and while Ella Walk-In Tubs provide a big selection to choose from, it is always wiser to get a product with more features than one with less. After all, these tubs are meant to last long. Who knows, your preferences might change over the course of that time, and it is best to be prepared for that eventuality. It is for this reason that the Ella Ultimate Air and Whirlpool Bathtub has been hailed the best of the lot. Its features are a step-up from the older models, drawing from their strengths but learning from their weaknesses. All you need now is someone to install the tub and a shower curtain to go with it for the ultimate relaxation session.